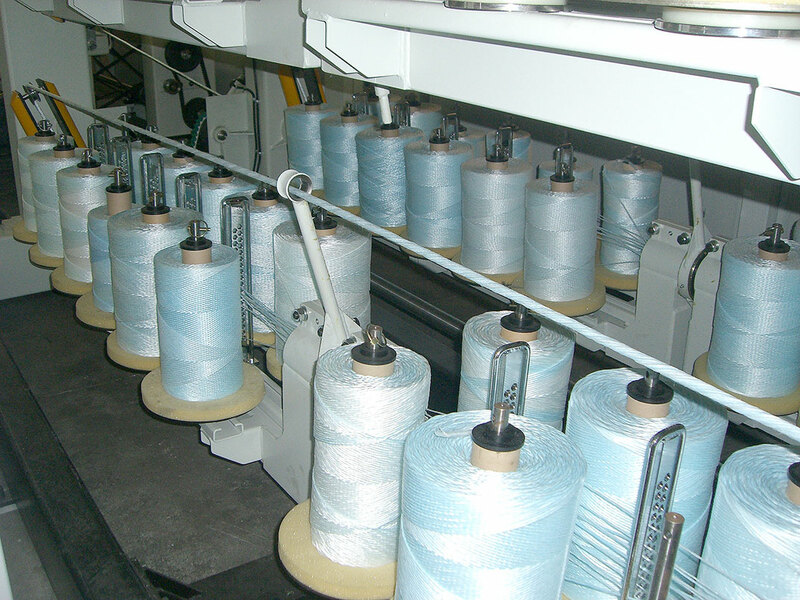 The 1001/4 is a rope layer suitable for production of 3 and 4 strands ropes from Ø10mm up to Ø30mm diameter both using synthetic and natural fiber. The machine design is a SIMA mechanical basic concept with two AC motors one for easy change of pre-twist factor from control panel, one driving the hydraulic take up unit. The machine cover is complete of air recirculation system, guarantee high safety condition (injury and noise) and smooth operation and maintenance thanks to large access doors. Easy to operate due to the simple settings (both mechanical and electronic) and operation area. Easy to maintenance due to the space available and simple/reliable mechanical solution. Best use of consumed energy with two AC motor + inverter system and precision in mechanical design. High level of safety system during both operation and maintenance. User friendly HMI technology and process control devices for best product/production condition. High capacity both in pre-twisting up to 22 (dim. Ø10½” X h.12”) bobbins per strand and take up section almost 500mt. 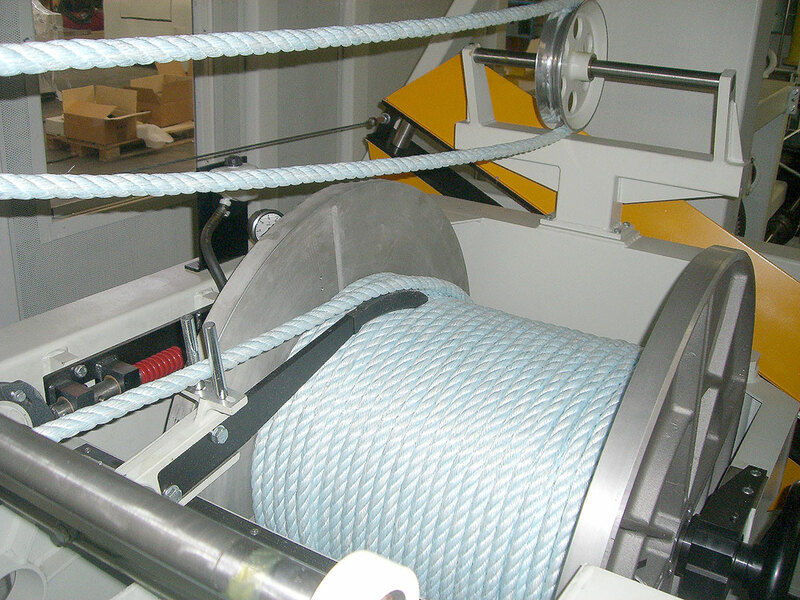 never ending rope for a production of 1.200Kg/h. Superior quality rope construction for all rope dimension at high speed through the continuous control of the 2×1 twisting/winding tension.